A quick update on recent projects. Green roof on bike shed I have nearly finished a green roof on a bike shed in Stockwell. It is all ready for planting and the customer has a great plan for herbs and succulents in a geometric pattern. It looks pretty good at the moment but I will come back with a full update and some details of the build when it is finished. Natural insulation Even more exciting is the end of the natural insulation project I have been working on all summer. Since I finished the lime plastering the walls have been allowed to dry (it takes a bit longer than normal plaster) and painted with clay paint. I am pretty pleased with the finished results and the householders are much warmer. We headed off on our bikes to Olympia for the National Home Improvement Show with mixed feelings. I had bought tickets in a two for one offer a couple of months earlier and every week since they had sent me offers for free tickets so I was a bit annoyed with the organisers but the show sounded interesting and possibly more sustainable than the Ideal Home Show at least. 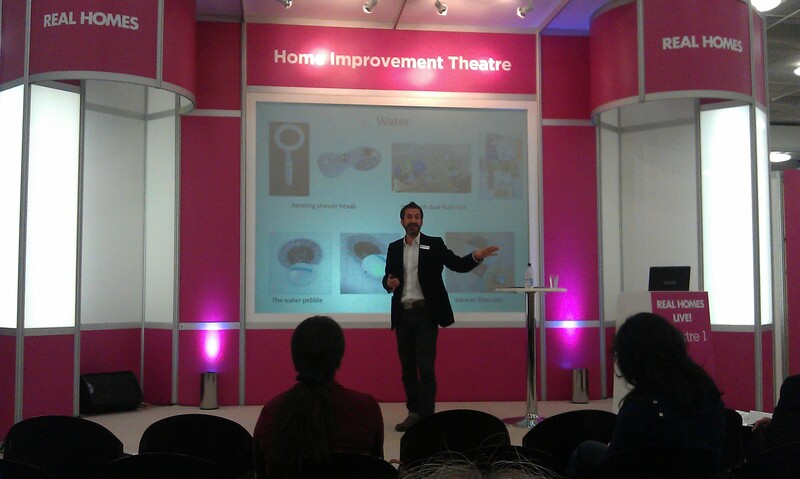 We got there in time to see Oliver Heath talk about Smart homes and smart living. We were a bit worried that it started off like an advert for British Gas but once he was into his stride it was a really fascinating run through gadgets and devices that can make your house more efficient. Starting with heating he talked about smart meters and the difference they could make to our future heating controls. Then he moved on to discussing The Nest which is a very stylish new thermostat that controls your heating. So far these are only available in the US but I will keep a look out and feature them when they come to the UK. 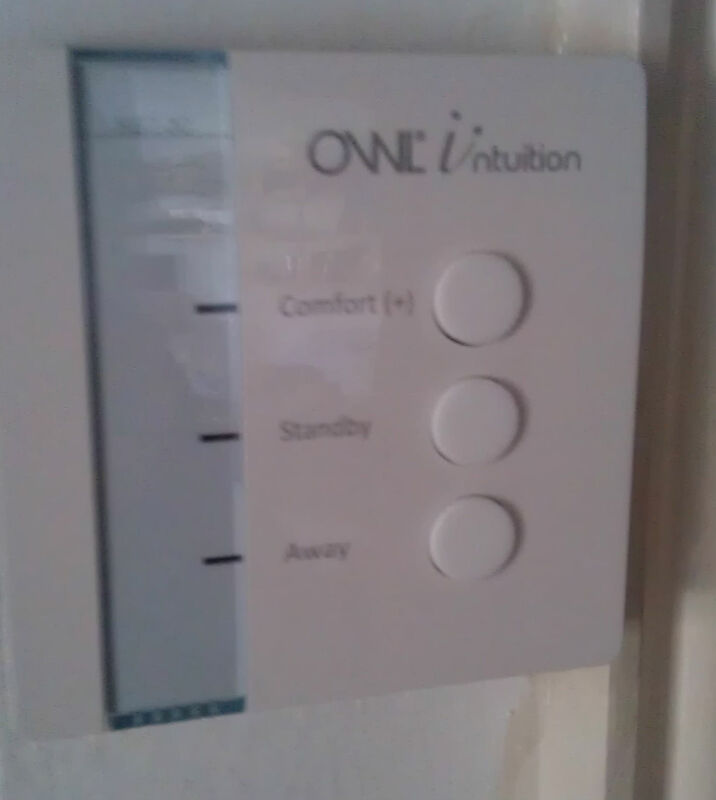 In the meantime we have our own home grown version The Owl Intuition which I have talked about before and have at home. This gadget also replaces your thermostat and allows you to control your heating from anywhere in the world. The manufacturers are working on software that will help you to reduce consumption further by prompting when you can manage without heating. They’re also looking into a feature to notify friends or family if the hot water hasn’t been used for a long time which could be used as an alarm for the elderly. The current version already gives great reports on your current usage and your history. Find out more about them on my product pages here. Oliver moved on to talk about water-saving gadgets including the water pebble which times your shower and helps you reduce it and water saving shower heads which can reduce your water use without changing the feel of your shower. We have one at home and it certainly works. He also discussed a water pedal tap for your kitchen so you can turn the water on and off hands free when cooking, along with a kit for converting your existing toilet to low flush. I have converted my own toilet to low flush using a kit as well, further details in a blog soon. Other sections of Oliver’s presentation covered ventilation systems and atmospheric changes such as light bulbs and paints. The section that made him most excited though had to be powering his hybrid car with the energy collected from his solar panels! If you are thinking of copying that I have found some good solar panel kits that you can fit yourself or I can arrange for a full scale installation. If you have ever attended a home show you will know that there are many stalls and many more people! We find therefore that it is best to target a few stalls and escape. 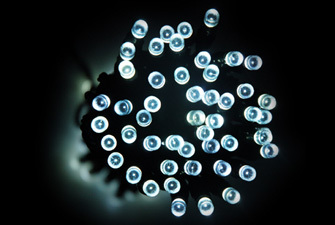 So we visited a couple of stalls which have a wide range of low energy bulbs as I am looking to extend the range I offer on ecoalex.com and also need a few new ones around the house. We also visited the Chimella stall. This was the launch of this product which is similar to an umbrella but is for putting up your chimney to reduce drafts and catch any dirt. The product has been designed with great care and offers a real alternative to the chimney balloon as it can be removed if you want to use your fireplace. I hope to strike up a deal with Mr Chimella in the future as I thought it was a pretty cool product but if you want one now you can order one direct from him. After this we were getting a bit tired so we headed off for tea and cake to chat about the new ideas we had picked up. I hadn’t realised quite how good my new Owl thermostat and heating control is until now. I have obviously been showing off to friends about the smartphone app showing how little electricity I am using etc which is all very exciting. However the cold weather has really bought it into it’s own. When I set it up I programmed in the times I wanted the heating on, start up temperatures etc and left it at that. We had a nice warm summer the heating never came on and I kind of forgot about it. Then, one cold morning last week the heating came on for five minutes or so in the morning warmed the house up and turned off again. A couple of days later it did the same and this evening for the first time it came on in the evening. With my old set up where I programmed the boiler, it came on at that time and then remained on until the end of the timed period unless it got really really hot and then the thermostat might turn it off. The new Owl system starts with checking the temperature and then only turns the boiler on when it is needed, the thermostat seems much more accurate too. An added bonus is that even when the heating is on the new boiler is so much more efficient I am saving money then too. I am going to recommend them to all my customers I think, you can find out more about them here. Last week was Open House weekend as the 40,000 or so people that went to Battersea Power Station should know. Having had a quick peek at it recently as part of the improvement zone project I was able to visit a couple of eco homes instead. Having seen quite a number of architect led fantasy eco homes as part of other tours I was eager instead to see some normal houses that had been upgraded at a reasonable cost and with great savings. The first visit was to The Coach House in Belsize Park a lovely house on the end of a Georgian terrace. Waiting outside we particularly admired the tradesman’s entrance with the big Tradesmen sign above it. We were welcomed in by the owners along with a couple of other early risers. 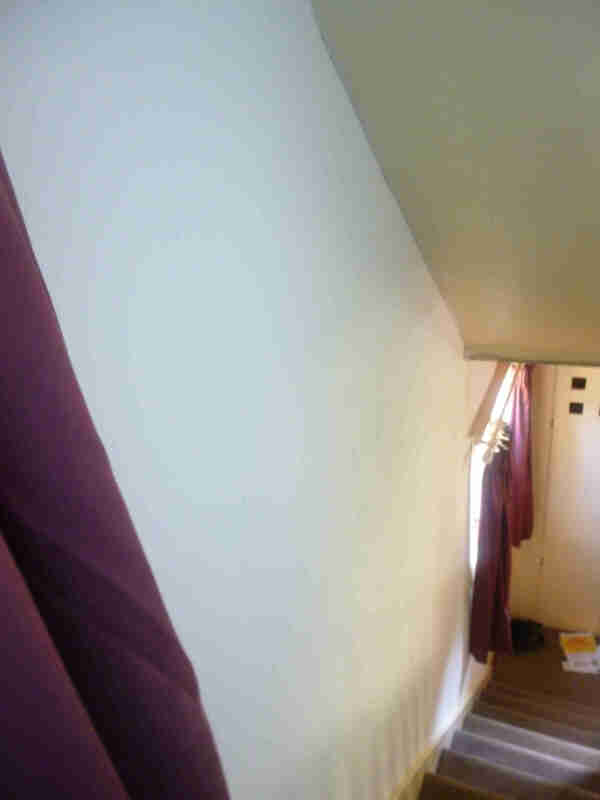 We began with an introduction to the house and the owners ambitions for the refit. They wanted to achieve somewhere near the 80% reduction in carbon emissions and energy usage that the government has committed to for 2050. They have achieved something near this through insulating the walls and the roof, replacing and refurbishing windows and using low energy bulbs and heating controls. The walls were particularly impressive, the internal wall insulation added at the front of the house is almost impossible to spot: And the only way to tell that the outside has been done is to tap the wall and listen to the slightly hollow sound created by the foam underneath: The roof was mostly flat and had been insulated externally with decking placed on top of that so you can walk on it: Inside there is a an Owl electricity meter and Passivsystems heat control. I was pleased to learn afterwards that they had used a Parity Home Energy Masterplan to plan out the refurbishment of their house. 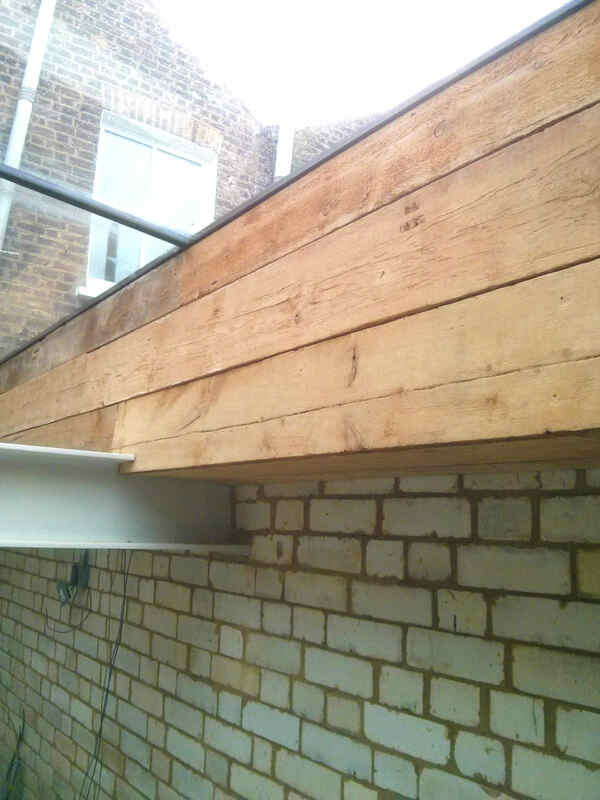 You can read lots more about the house and see videos on the Superhomes website. Well worth a look, particularly to see how unobtrusive wall insulation is. A lot of people I speak to seem to think it will make there rooms tiny but this is definitely not the case, and you get great windowsills for plants etc. This was further illustrated by the next house we visited in a mansion block near King’s Cross. This was also a super home and a cosy flat on the top floor. The flat had also had internal insulation on the walls and this time the ceiling as well. Again the insulation couldn’t be seen and the owners had also added coving to the ceiling and the same time improving the look of the flat.